Lakeside 197 Stainless Steel Mobile Glass Rack Cart - 21" x 24 1/2" x 36"
Easily transport and store your glass racks or cup racks with the Lakeside 197 stainless steel mobile glass rack cart! 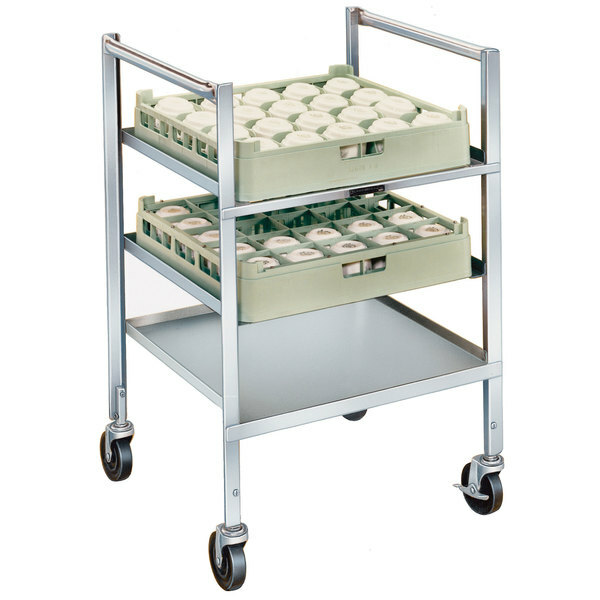 This cart contains 1 solid shelf and 2 sets of ledges, and its vertical design has a compact footprint that saves valuable storage space. 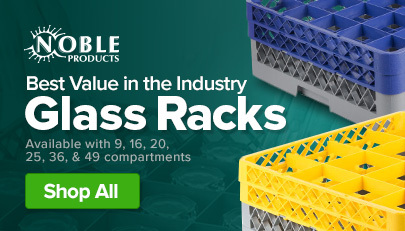 It's ideal for 20" x 20" glass racks and has shelf clearances of 7 3/4" and 6 3/4" for maximum use. The unit's stainless steel, all-welded design provides extra support and stability. Plus, it's easy to clean and sanitize. 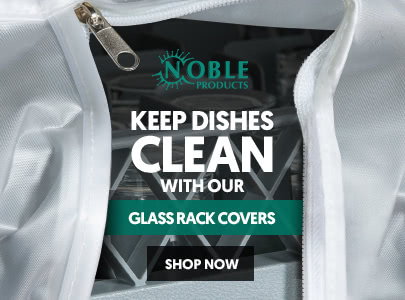 Keep your cup and glass racks organized and safely stored with this stainless steel glass rack cart. The convenient, mobile design is great for transporting throughout your kitchen. The 4" all-swivel casters (two with brakes) allow for easy maneuverability. Shelf Clearance Middle: 7 3/4"
Shelf Clearance Bottom: 6 3/4"
Lakeside 198 Stainless Steel Mobile Glass Rack Cart - 22" x 22 1/4" x 58 1/2"